Body The Small Business Corporation (SB Corp) has forged a partnership with the University of the Philippines – Los Baños (UPLB) to help boost an inclusive and integrated entrepreneurial and innovation ecosystem for Filipino entrepreneurs through the MSME Finance Institute at the State University’s campus in Los Baños, Laguna. The SB Corp.–UPLB partnership will provide entrepreneurs continuous access to technology, knowledge and information, research and development network, and infrastructure such as the Fabrication Laboratories and Shared Service Facility (SSF). Throughout different phases of the enterprise, appropriate funding will also be made available in the form of loans or equity financing. “With the state university’s ability to provide a wide array of services such as infrastructure, expertise, knowledge and technology to startup and micro, small and medium enterprises (MSMEs), the partnership would produce very good results,” SB Corp. President and CEO Ma. Luna Cacanando said. Cacanando added that financing access and mechanism will bring the products of research and development closer to the market and facilitate technology commercialization through business startup models. The SB Corp.-UPLB partnership is anchored on the i3s Strategy or Inclusive, Innovation and Industrial Strategy, which aims to build a strong government-academe-industry collaboration that includes innovation and entrepreneurship and human resource development. 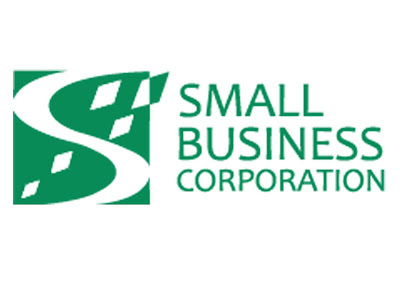 Under the agreement, SB Corp will provide MSMEs with risk-based lending technology, risk-based financing and mindset, financial education, access to industry linkages through DTI’s network, equity financing facility, low-cost lending through the Pondo sa Pagbabago at Pag-asenso (P3) Program, access to markets and industry, among others. On the other hand, the UPLB through the Center for Technology Transfer and Entrepreneurship (CTTE) and Department of Agribusiness Management and Entrepreneurship (DAME) will provide startups and MSMEs technical and entrepreneurship trainings, business degree programs, research and development funds/grants from the Department of Science and Technology, Department of Agriculture, and Commission on Higher Education, technology business incubation, Fablab, co-working space, among others. UPLB Chancellor Dr. Fernando C. Sanchez, Jr. said the partnership will provide a dedicated space for collaborative endeavors between UPLB researchers and partner organizations. “This partnership is very important since the University has been pushing forward the technology and commercialization of UPLB’s wide research and knowledge products,” Sanchez said. “UPLB will be even more responsive to the various needs of the industry sector, particularly for those who are involved in agriculture and entrepreneurship activities,” he added.